In California, the leading cause of car accidents are a failure to obey traffic laws, reckless driving, driving under the influence, and negligence. The state of California requires drivers to have an insurance policy with a minimum liability coverage of $30,000 for bodily injury and $5,000 for property damage per accident. This means that when a driver is found legally responsible for a car accident, that driver’s insurance liability coverage should pay for the costs incurred by the victim of the car accident for any injury and property damage associated with the car accident. However, this requirement to carry minimum liability car insurance does not guarantee a victim of a car accident that he or she will receive the just compensation they deserve. The reality is that insurance companies will often drag out these claims looking for reasons to provide partial compensation or flat out deny the claim altogether. That is why California has provided victims of car accidents with two legal avenues to recover compensation: through a settlement with the insurance company or by filing a tort claim in civil court. If you or a loved one has been injured in a car accident because of another’s reckless driving, you will need a personal injury firm with vast experience successfully handling accident claims in both avenues. At the San Diego Injury Law Office, our team of legal experts consist of strategic negotiators and fierce advocates who work together to fight these insurance companies and ensure that you obtain the full compensation you deserve! Call us now at (619) 343-2992, we are ready to personally meet with you to discuss your claim FREE OF CHARGE! At the San Diego Injury Law Office we understand that a personal injury claim can be overwhelming for someone who just survived a car accident and are here to tell you that you do not have to face the insurance companies alone! Our skilled personal injury attorneys are here to explain how to simultaneously prepare for both a settlement and a lawsuit! The first step that must be taken after a car accident is to contact law enforcement immediately after the accident so that they may arrive at the scene and file an accident report. Law enforcement will examine the road conditions, the damage to the vehicles, take statements from both drivers and speak with any witness present at the time of the accident. The accident report will serve as valuable evidence for our negotiators to establish the insurance company’s liability by demonstrating that the other driver was at fault. The second step is to exchange car insurance information between the drivers involved in the accident. This will provide our firm with the contact information that is required to file a personal injury claim on your behalf against the other driver’s insurance company. The third step is for you to take pictures of the scene of the accident, the damage done to your property and any injuries that you sustained from the accident so that our firm may use this evidence to evaluate the harm that you have suffered and prove up the amount that is owed to you in compensation. The fourth step is crucial in any car accident, you must seek medical attention. A lot of times victims of car accidents are so in shock that they don’t realize they have been injured or the severity of their injuries. Sometimes the symptoms take days to manifest themselves which is why it is important that you see a doctor or chiropractor immediately so he or she may identify or treat any injuries that may have resulted from the car accident. When you do seek medical attention, make sure to keep all records of hospital or medical visits, physical therapy, prescriptions, assistive devices and all billing statements. Any medical attention that you receive will be used by our firm to strengthen your personal injury claim and to demand the maximum recovery available. However, it is important to note that nothing will help determine the outcome of your personal injury claim more than the car accident lawyer that you choose to represent you. The fifth step will be for you to contact a reputable personal injury law firm to discuss the merits of your claim and the legal avenues available for recovery. Filing a personal injury claim can be a very complicated process but with the San Diego Injury Law Office on your side, you do not have to worry because we will be with you every step of the claim to protect your rights and advocate for your interests! Our experienced personal injury attorneys will first meet with you for a free consultation and to review any documentation that you have gathered from the accident. Once we verify that you have a valid personal injury claim we will explain to you the negotiation process and contact the other driver’s insurance company to file a claim on your behalf. You will be required to give a statement of the accident to the insurance adjuster who will be handling your claim. We will help you prepare the statement so that you may provide information specific to the accident but protect yourself from making any inculpating statements. You want to limit your statement to the day, time, location, weather conditions, road conditions, names of people involved, and a brief description of your interpretation of the accident. Keep in mind that you always want to give an honest accounting of the accident but you never want to accept liability because that is for the insurance companies to determine and for your legal experts to prove. While the insurance company investigates the claim, we will conduct our own investigation, request police records, medical records and witness reports to corroborate your claim. Once we get the insurance company to accept liability for the accident we will present our demand letter and commence negotiations. We will use all of evidence that we have collected and to negotiate the amount requested in compensation. If your demands are not met, we will inform you of the offer on the table and advise you of what you can expect if we proceed to file a lawsuit. Ultimately, it will be your decision whether or not to settle the claim but rest assured that we are prepared to take your demands to court! Damages are the monetary compensation that a victim of a car accident may recover from the party that was found to be legally liable for the accident in a personal injury claim for the loss and/or injuries sustained. At the San Diego Injury Law Office we know first-hand that the strength of our clients’ personal injury claims will depend on the evidence that we are able to present for the harm that was suffered because of the accident. In California, there are three types of recoverable damages available to victims of personal injury claims. The first type is actual damages, these are damages that you are entitled to receive if you can prove the economic loss you suffered from the car accident. Our experienced legal team will go through an entire accounting of your property damage, lost wages for the time you had to take off work, loss of future earnings, the billing for your medical costs, prescription costs, and rehabilitation services and equipment costs and future medical expenses to ensure that you receive the full amount of compensation that you deserve. 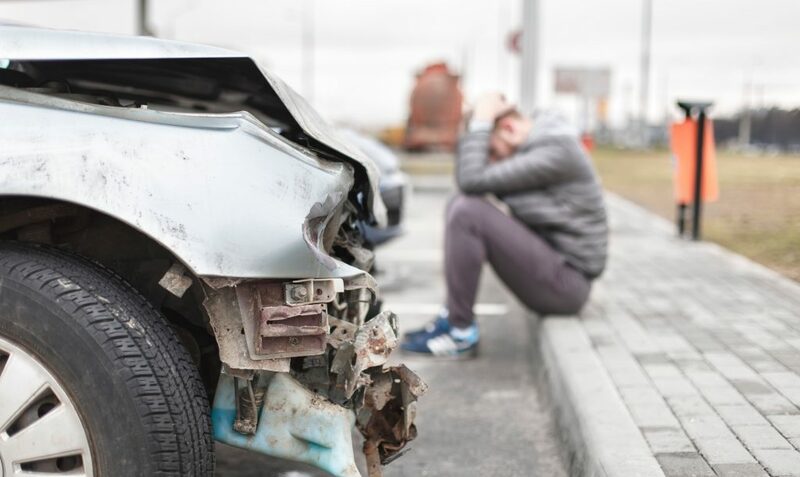 The second type is general damages, these are damages that you may recover if you can prove the emotional and mental suffering that was caused by a severe accident. Given the subjective nature of the harm that is required to prove general damages, they are often non-monetary losses which make it more difficult to quantify. To strengthen your claim for general damages, our legal analyst will work directly with you from the beginning to put together a journal that provides a detailed accounting of your daily activities showing the full extent of your suffering since the accident. This is where we will depict the inconveniences that you have or will experience as a result of the car accident such as stress, trauma, humiliation, loss of quality of life and loss of consortium. We will also make sure to include the degree of pain that you have suffered as a result of your injuries, both the physical and mental suffering that was caused by the accident. The third type is punitive damages, these are exemplary damages that are only available to the victim of a car accident if the other driver’s conduct was particularly willful or reckless. Unlike actual and general damages which serve to compensate the victim of a car accident, punitive damages serve to punish the party legally responsible for the car accident. To determine the amount of punitive damages to be awarded in a personal injury claim, the court will look at the other driver’s conduct and the extent of the harm that you suffered as a result of the car accident. In order to raise your chances of obtaining punitive damages, our accident experts will review the police report, interview witnesses and recreate the accident if necessary in order to demonstrate the other driver’s willful and reckless driving. At the San Diego Injury Law Office our goal is to account for every single financial measure available to compensate you, give us a call at (619) 343-2992 so we can begin fighting for the damages you deserve! A statute of limitations establishes the timeline legally available to file a lawsuit, the statute of limitations begins to run immediately after the harm occurs. In California, the statute of limitations for a victim of a car accident to file a claim will depend solely on the nature of the harm that the victim suffered. If you are an accident victim who is seeking damages for personal injuries suffered as a result of another’s reckless driving, you will have two years from the date of the accident to file a claim. However, if you are seeking damages for property damage suffered as a result of another’s reckless driving, you will have three years from the date of the accident to file a claim. It is important to point out that if you wait to file a claim pass the allotted time under the statute of limitations, you will be barred from taking any legal action against the other driver and their insurance company. Do not allow the statute of limitations to expire, two and three years may seem like more than enough time to file a claim but you want to account for the time that will be spent in negotiations with the insurance company. Do not waste precious time, at the San Diego Injury Law Office, we are standing by ready to ensure that your personal injury claim is handled efficiently and prepared to go to trial if necessary to make you whole again!